To improve understanding and reduce threats, WWF in collaboration with the government's Forestry Administration, has established a project focusing on protecting the nests of the White shouldered Ibis, River Tern, Red-headed Vulture, and Lesser Adjutant and their habitat, while concurrently improving local rural livelihoods. To learn more about Mekong nest protectors and local livelihoods benefits, read the case story. 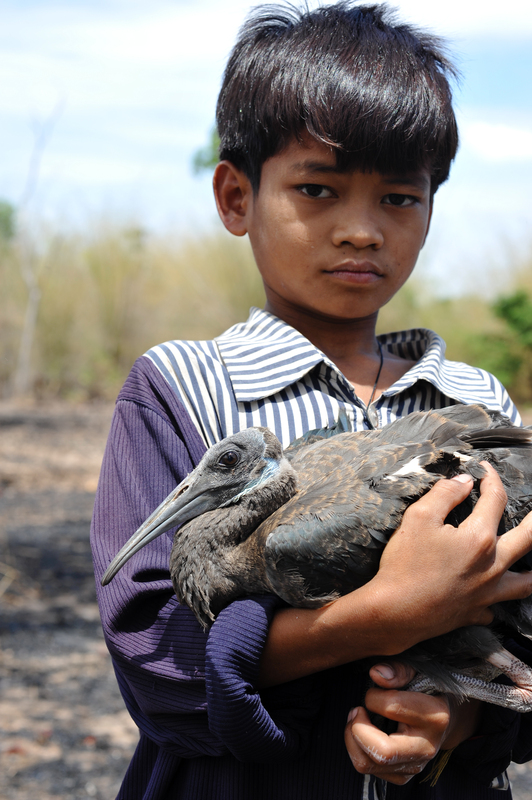 A local boy holds a White-Shouldered Ibis chick in Koh Preah.